Very happy to see the nice cake from the restaurant! Is July babies birthday celebration so we are back to Chef D Table for dinner it was a great experience that we all had during Pauline's birthday last December! Last year Goh came with me ... today is Alyssa's turn am afraid she don't have anything to eat I bought her sandwich and some snack so that she can have it and I guess she will be bored cos she will be the only kid there! I ordered back the same 4 course meal and I am having the same thing as well .... 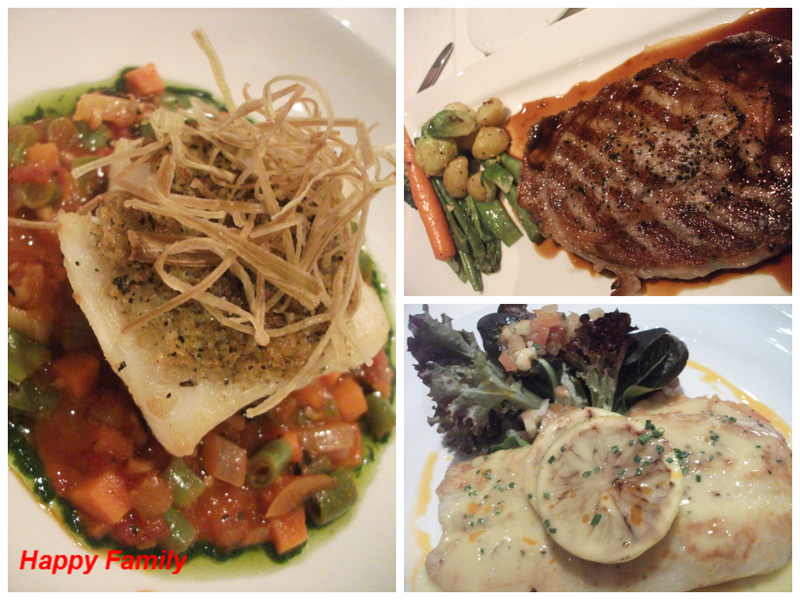 Lobster Bisque, Mushroom Tofu, Seabass and dessert same goes to Pauline but she choose beef instead. 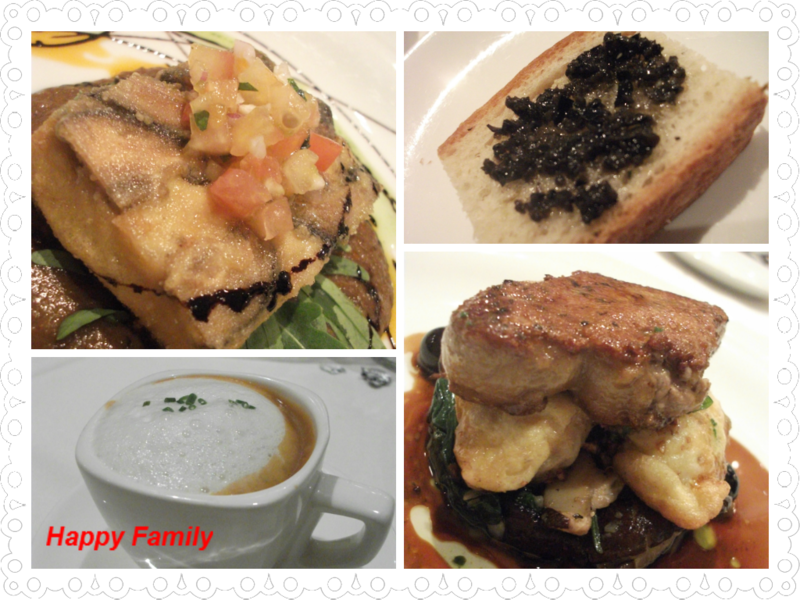 As for Sam she choose ala carte - seabass and as for her entree she opt for Foie Gras. Jamie ordered Pink Dory and it comes with lemon sauce which gave a very refreshing feel. Jamie gave some to Alyssa and she like so much that she asked me to order one for her as well and she really a big eater! She finished it in no time when it was served to her! 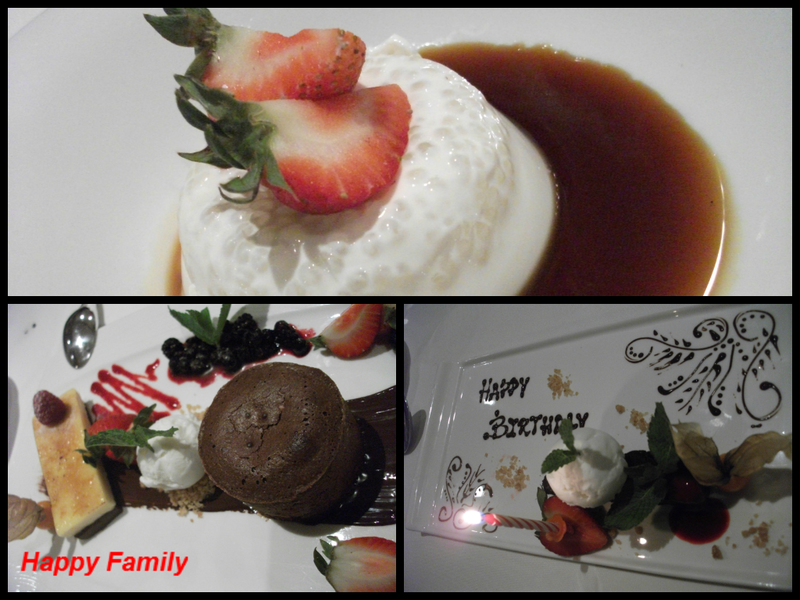 We all waited for the dessert cos the chocolate lava cake was the highlight and we simply fall in love with this dessert! Check out the video on Pauline's blog ! 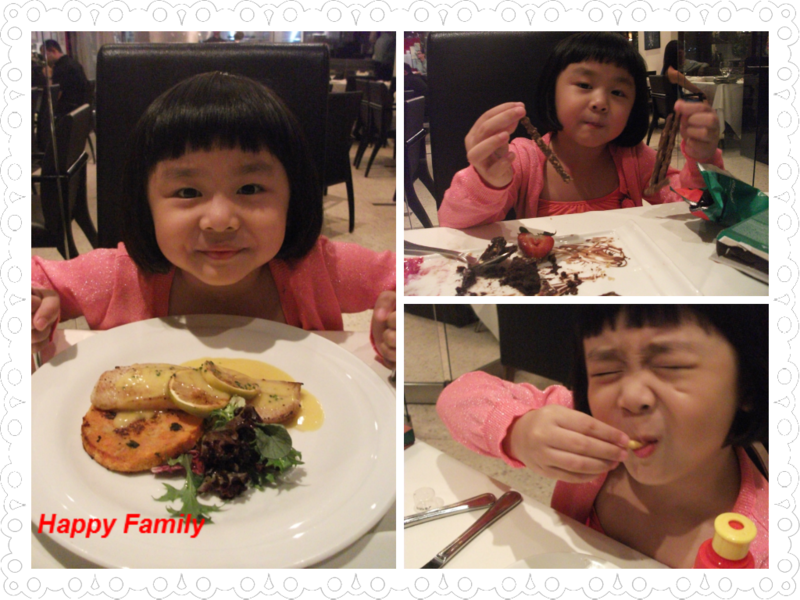 Alyssa really enjoyed the dinner very much and love the lava cake for sure and she tell me she would wanna go back again! Do check out the place ..... is a great place for couple as well!